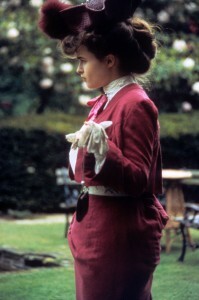 Ishmail Merchant and James Ivory produced and directed this adaptation of E.M. Forster’s 1908 novel, which first hit the theaters in Great Britain during the early winter of 1985. Four months later, the movie was released in American movie theaters. Forster’s tale is basically a coming-of-age story about a young Edwardian woman, who finds herself torn between her superficial and snobbish fiancé and the free-thinking son of a retired journalist, whom she had met during her Italian vacation. The movie begins with the arrival of young Lucy Honeychurch and her cousin/chaperone Charlotte Barlett to a small pensione in Florence, Italy. Not only does Lucy have a reunion with her family’s local clergyman, the Reverend Mr. Beebe; she and Charlotte meet a non-conformist father and son pair named Mr. Emerson and his son, George. The Emersons agree to exchange their room – which has a view – with the one occupied by Lucy and Charlotte. Lucy becomes further acquainted with George after the pair witness a murder in the city’s square and he openly expresses his feelings to her. Matters come to a head between the young couple when George kisses Lucy during a picnic for the pensione‘s British visitors, outside of the city. Charlotte witnesses the kiss and not only insists that she and Lucy return to the pensione, but also put some distance between them and the Emersons by leaving Florence.